This script is a toolbox. 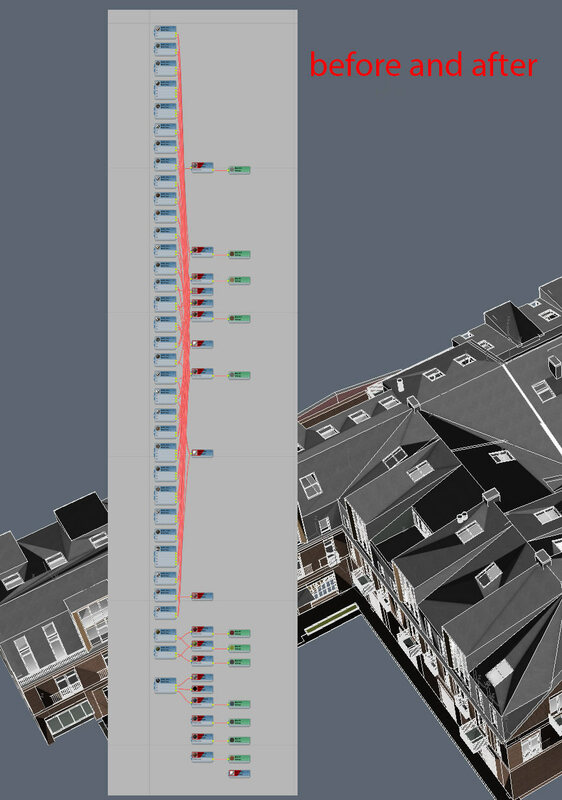 v1.01 - Fixed issue in Condense by Layer when processing the last created layer. Submitted by RobSteady on Tue, 2015-03-17 03:38. Possible add on: Rename object name by layer name button. Submitted by Nomte on Mon, 2014-11-24 04:00. You are right, the script is not intended to handle geometry with multimaterial. That update is a good idea, I will work on that! Submitted by harumscarum on Mon, 2014-11-24 03:42.
i use two scripts to optimize models - attachSelectedObjects and DetachByID (there are here on Scriptspot). 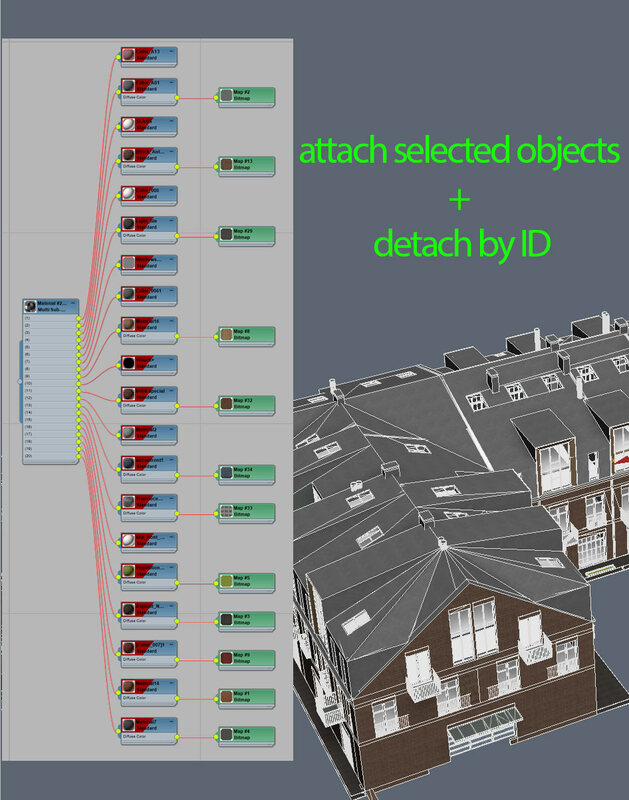 so it collapse all objects and materials to single object with multimat and then detach to object my mutimat material ID.